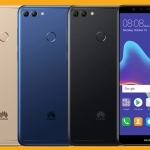 The Huawei Y7 Pro 2019 is the latest mid-tier smartphone from Huawei. The phone is priced competitively at Rs 18,490. And for that price, the phone has a lot to offer including a new design and a revamped camera set up. 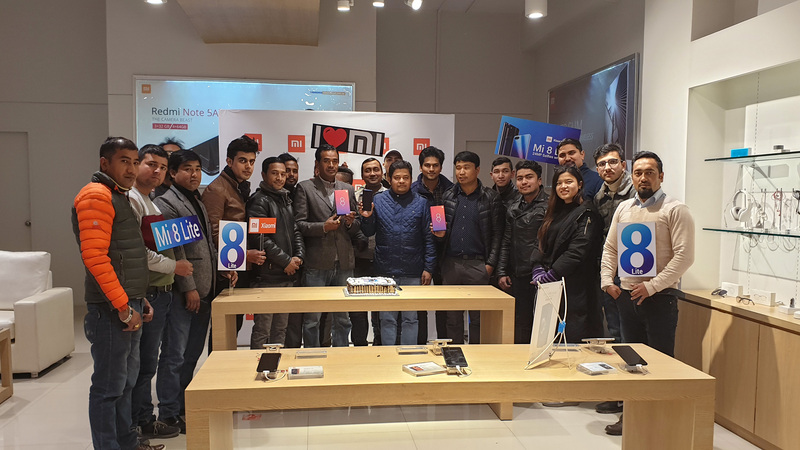 The phone also has a lot of people talking about it! They want to know what the phone has to offer and what sets it apart from the cutthroat competition. 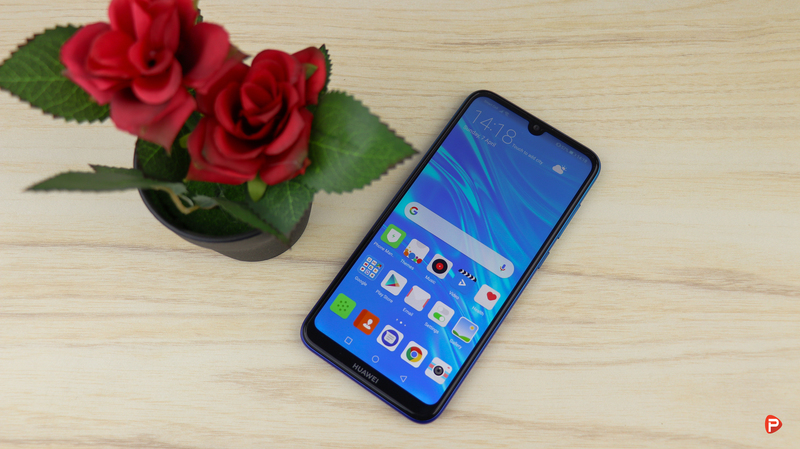 Well, to answer their questions, here are the top 5 features of the Huawei Y7 Pro 2019. The Huawei Y7 Pro 2019 packs a dual-camera set up made by an f/1.8 13MP and a 2MP sensors. The image quality from these shooters is pretty amazing. In good lighting conditions, the cameras produced some eye-catching images with a lot of sharpness and details. The dynamic range is also quite good for a phone of this caliber. Low light images are also not that bad! Of course, you will notice a bit of softness and noise in the images. This is to be expected from a phone at this range! The images, however, can be somewhat improved using the onboard AI technology. 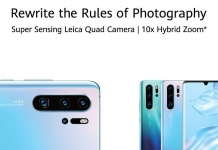 Yes, the Y7 Pro 2019 comes with AI integrated into the cameras. This help the phone take better images even under the harshest of conditions. The AI also helps take optimized photos as per the scene at hand. A great feature to have! 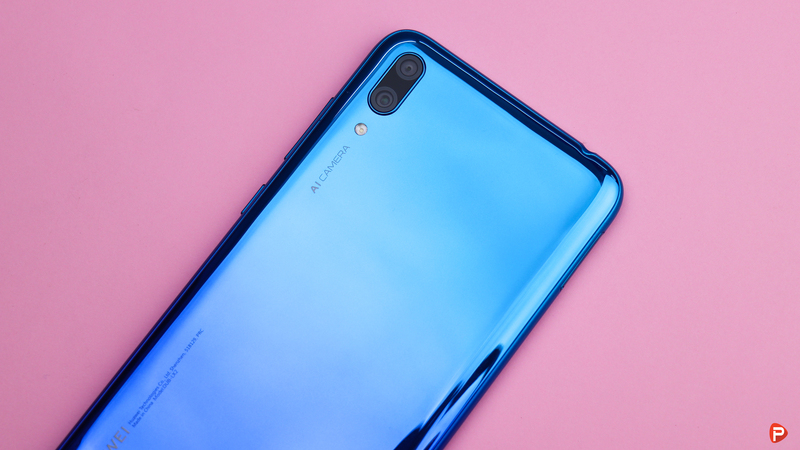 Moving on, the Y7 Pro 2019 also packs a 16MP front-camera for all your social media ready selfies. The image quality from this shooter is great! I got some good looking selfies with great details and color accuracy. Just like its rear counterpart, the image quality suffers a bit in low-light condition. The phone, however, packs a front LED flash which does help somewhat improve the images. Overall, the cameras on the Huawei Y7 Pro 2019 are great especially considering its price. 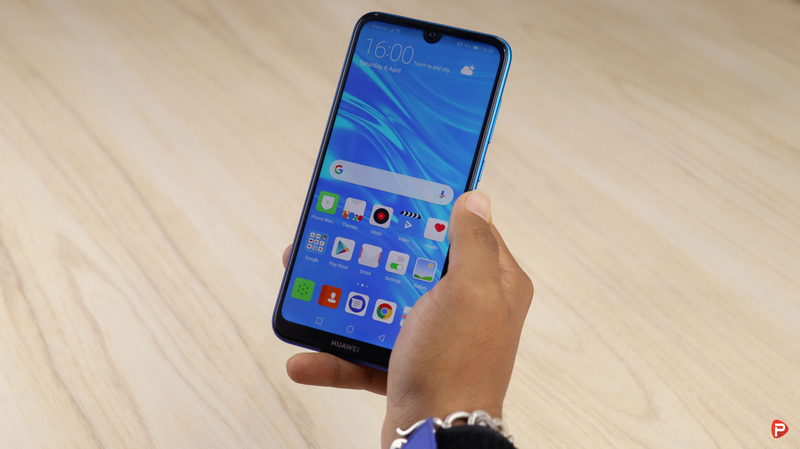 The Huawei Y7 Pro 2019 is a gorgeous looking device! Although made from polycarbonate, the phone has some premium elements to it. This has largely to do with the glossy glass-like back of the phone. 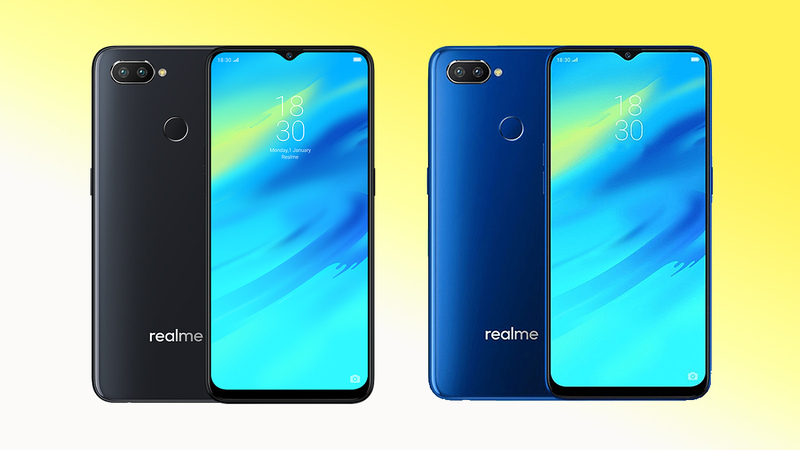 Paired with the Blue color gradient finish, the phone looks very classy. Besides the look, the phone has all the elements where it should be. At the top, we have a 3.5mm headphone port along with a noise cancelation mic. On the flip side, we have a Micro-USB port accompanied by a speaker and microphone grill. The right side houses the volume rocker-power button combo. While the left has a slot for the dual sim cards and a dedicated micro-sd card. Having this combo is a great inclusion! 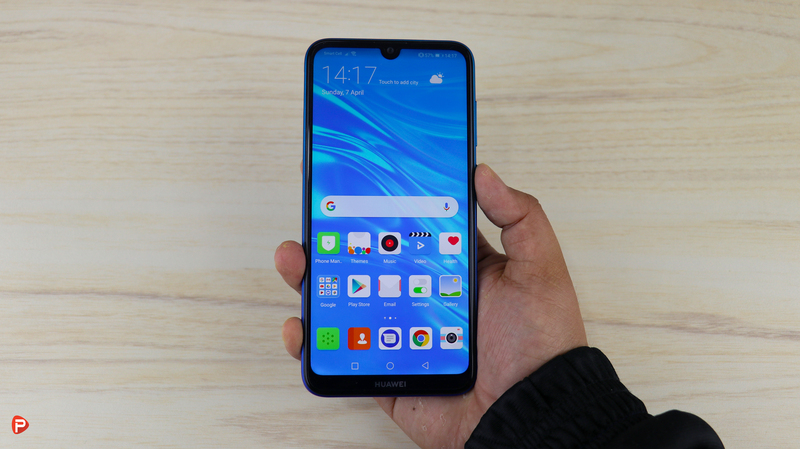 The Y7 Pro 2019 has a large 6.26-inch HD (720 x 1520) IPS display with a 19:9 aspect ratio. The picture quality from the panel is quite good for the price. Even though the display is not Full HD, it was able to provide good media consumption experience. Everything from watching a movie, browsing through the internet, to gaming was a delightful experience. Having an 80% screen-to-body ratio really helps get an immersive viewing experience. A great choice for media-hogs and casual gamers like me. Huawei Y7 Pro 2019 has a large 4000mAh non-user removable battery. This is a great inclusion for a phone at this price range. I got around 5-6 hours worth of battery life on a single charge with the device. Needlessly to say, the phone will get casual users 2 days worth of usage without any problem. 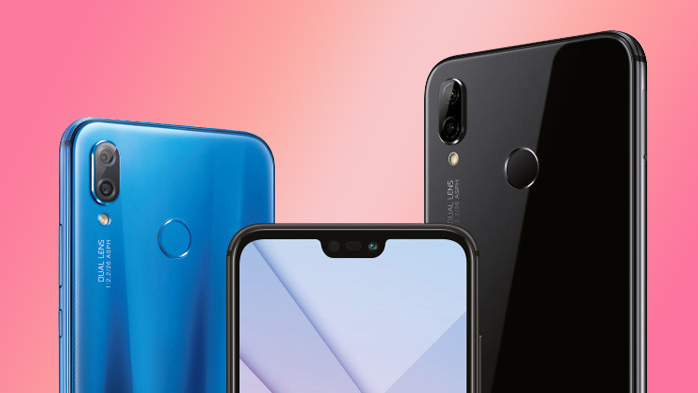 The large battery coupled with the optimized performance and HD display of the Y7 Pro 2019 makes up for prolonged battery life. And adding to that, the device also comes with Fast Battery Charger out of the box. Overall, having this large of a battery on a phone at this budget is a sweet-sweet offer. The Huawei Y7 Pro is a great performing device! This is largely thanks to the octa-core Qualcomm SDM450 Snapdragon 450 processor backed by 3GB of RAM. The phone also comes with an Adreno 506 for better graphics performance. These combinations make up for quite a performer! I had no trouble using the phone on a day-to-day basis. I also didn’t notice any lags or stutters during my usage. 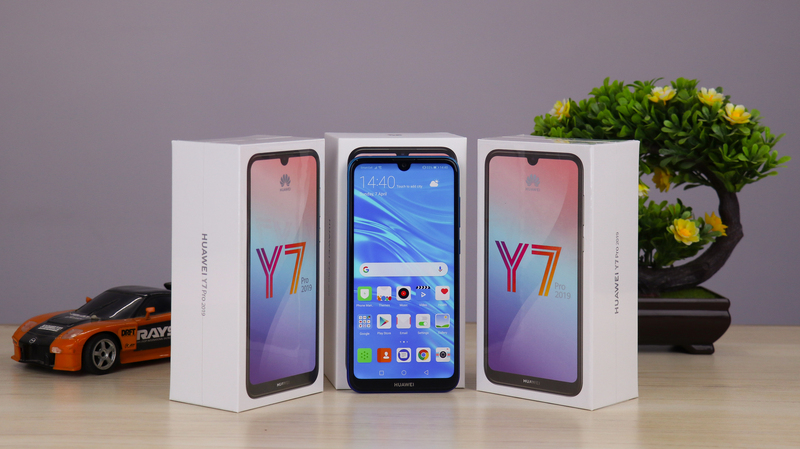 All in all the performance of the Y7 Pro 2019 is solid for the price. So these were some of the top features of the Huawei Y7 Pro 2019. If you are in need of these 5 features, in particular, the device will meet them all. Besides these features, the phone has a lot more to offer for the price. We will discuss about them in our full review which is coming out real soon. Stay tuned!